Fashion Polish: Femme Fatale x Very Emily Nord-Pas-de-Calais Trio swatches, review & bonus! 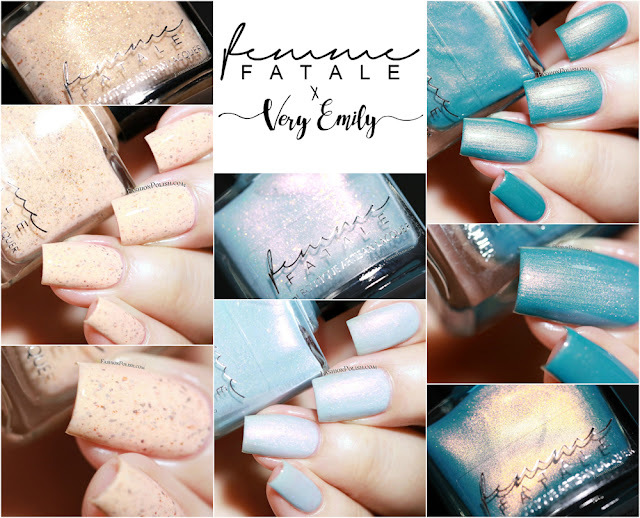 Femme Fatale x Very Emily Nord-Pas-de-Calais Trio swatches, review & bonus! 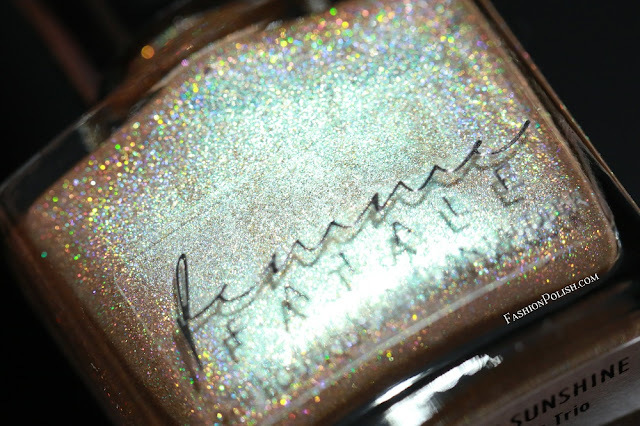 Hi everyone, I'm back today with more Femme Fatale swatches! Pinces de Crabe is a pale peach crelly filled with gold shimmers, brown and copper flakes as well as a touch of holo microglitters. 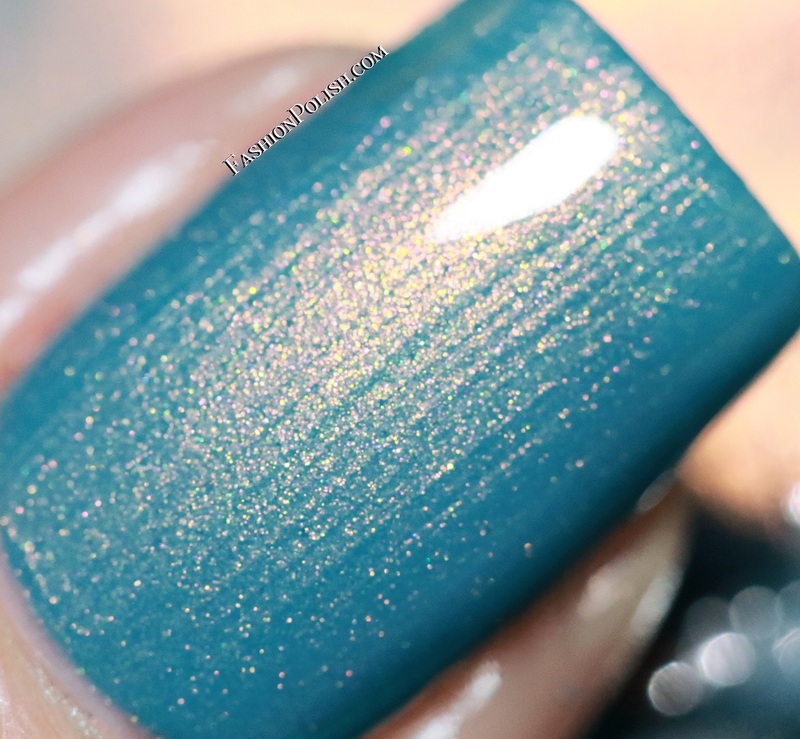 Perfect formula and opacity, I used 2 easy coats in my swatches. 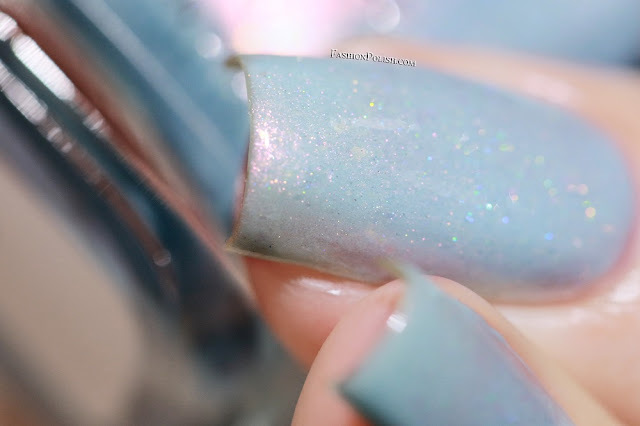 Cote d'Opale is a baby blue crelly with pink/gold color-shifting shimmer as well as holo microglitters and a dash of gold/green shifting flakies. A soft and delicate pastel with a twist. I used 2 coats plus topcoat. La Sirene is turquoise creme with a strong coppergold/green color-shifting shimmer. 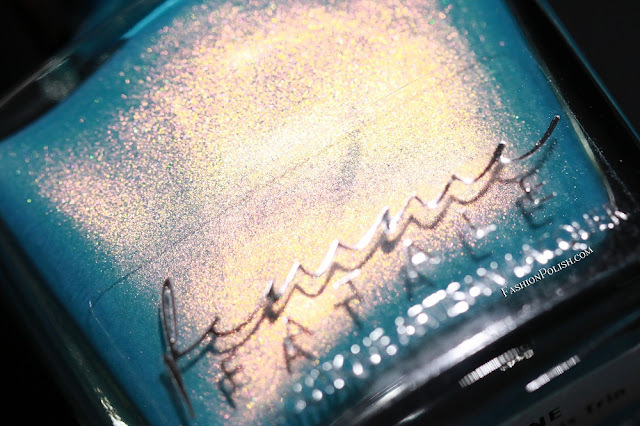 The shimmer really pops, giving this polish an almost lit from within look. Effortless application and an easy 2 coats coverage. 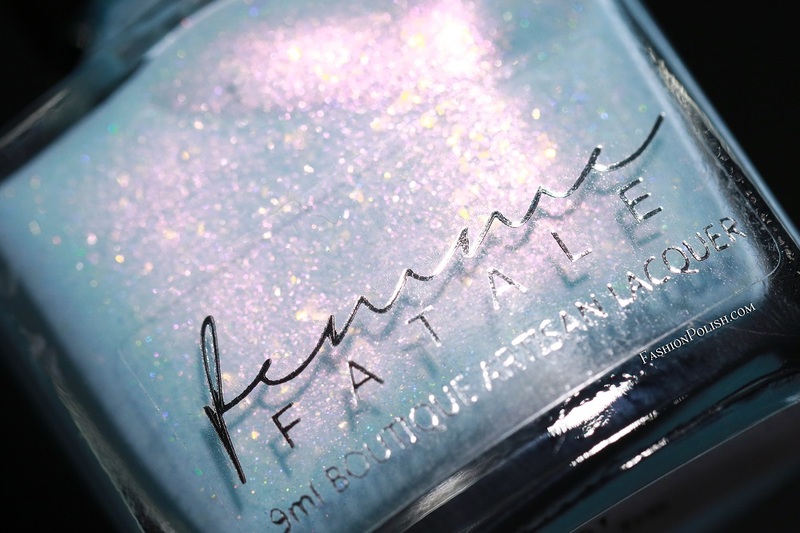 Ray of Golden Sunshine (from the Femme Fatale x De Briz From Dusk Till Dawn trio) is an antique gold holo filled with a strong icy turquoise shimmer. An intense color with outstanding application and sparkle. I used 2 coats plus topcoat in my swatches. 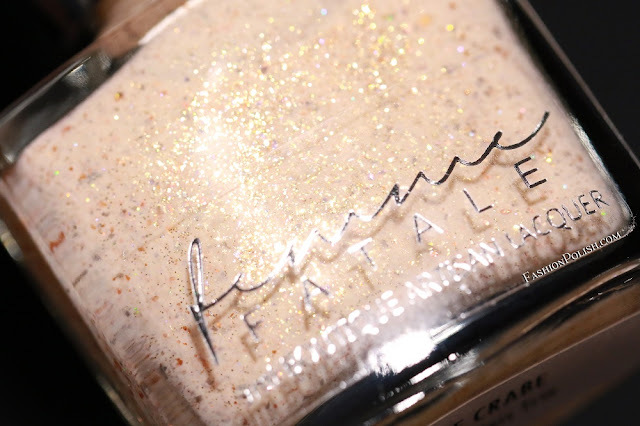 The Femme Fatale x Very Emily Nord-Pas-de-Calais Trio (and De Briz From Dusk Till Dawn (trio) will be available for pre-order on Saturday, October 1st on FemmeFataleCosmetics.com.au and FemmeFataleCosmetics.us (new! ).